Before Your Friendly Neighborhood Diva, CynDiva became a host on “The Mellow Mix“, she became a Diva as a singer/songwriter. We are happy to present her new EP, “Dreadloc’d Soul Vol. 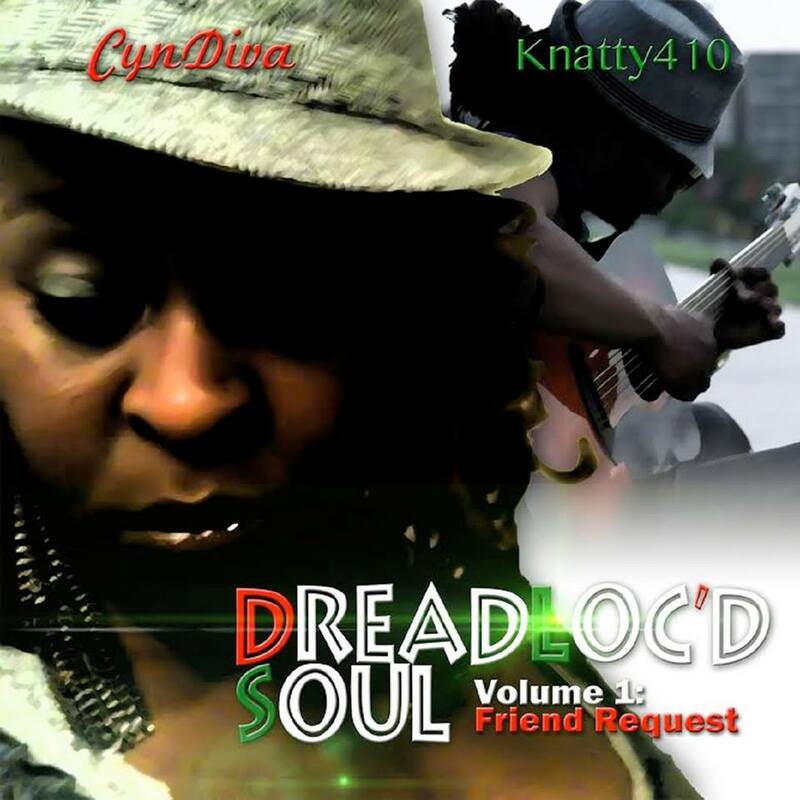 1:Friend Request“, produced by Knatty 410! We have been playing music from the EP for the last few weeks, but we invite you to add it to your personal collection. You can get your copy by clicking here for only $7.99! Please join our Fan Page on Facebook and follow The Mellow Mix Family on Twitter at @TheMellowMix @Shani_Elliott @TheRealCynDiva & @TraiChic @VBrinkley513 and our Resident DJ, @DJHarveyDent. If you are an Indie Artists who performs R&B/Soul and would like to submit music for consideration for airplay/review, please send your clean mp3 to submissions@themellowmix.com. Tags: "The Mellow Mix", @DJHarveyDent, @shani_elliott, @TheMellowMix, @therealcyndiva, @traichic, CynDiva, Dreadloc'd Soul Vol. 1:Friend Request, R&B, Shani Elliott, Trai Chic, wdgpradio.net, www.indie-music-network.com, www.soulcityradio.com. Bookmark the permalink. Previous post ← Happy New Year!